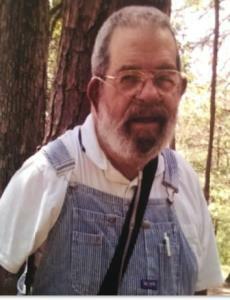 Barrett ‘Bear’ Baden Bishop of Dayton, Tennessee passed away November 3, 2018 at his home. Bear moved to Rhea County from New York in 1998. He was of the Catholic faith, a veteran of the U.S. Marine Corps, a member of The Knights of Columbus in Harriman, Tn. and a self-employed electrical contractor. He is survived by his wife, Vivian Marie Bishop of Dayton, Tn. ; children, Marie Mosley of Harrison, Tn., Barry Gordon (Lisa) Bishop of Houston, Tx., Kathryn Marie Bishop of Dayton, Tn., Cliff Henry (Teressa) Bishop of Houston, Tx. ; brother, Kenneth Bishop of Texas; four grandchildren, Shane, Julia, Shawn and Kali; and eight great-grandchildren. Service will be Wednesday, Nov. 7, at 10 a.m. at Blessed Sacrament Catholic Church in Harriman, Tn. with Father Michael Sweeney officiating. Family will receive friends Tuesday, Nov. 6, from 4-7 p.m. at Coulter Garrison Funeral Home. Interment will be Thursday, Nov. 8, at 11 a.m. at Chattanooga National Cemetery with military honors. In lieu of flowers, the family request that contributions be made to your local food bank or the Salvation Army.